El Rincon Clasico de Pereira is the most understatedly unique bar in Pereira, the unofficial capital of Colombia’s coffee region. A local legend, it is a shrine to the eternal youth of Pereira’s aging leadership. Strangely enough, despite some of the issues in the surrounding neighborhood, nothing bad has ever really happened here. It isn’t known as a drinking bar, so much as a secret gathering place for Pereira’s business class and even local leadership. The unassuming bar is located at the corner of Calle 22 bis, just a block off from the Calle 22 and only a few blocks off from the heart of downtown Pereira, or “El Centro” in Spanish. 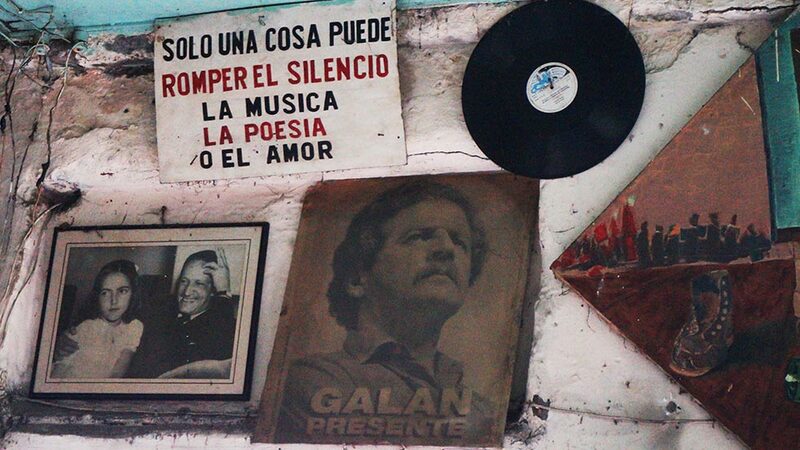 What you will discover when entering El Rincon is a blast from the past hidden in a little known part of El Centro. 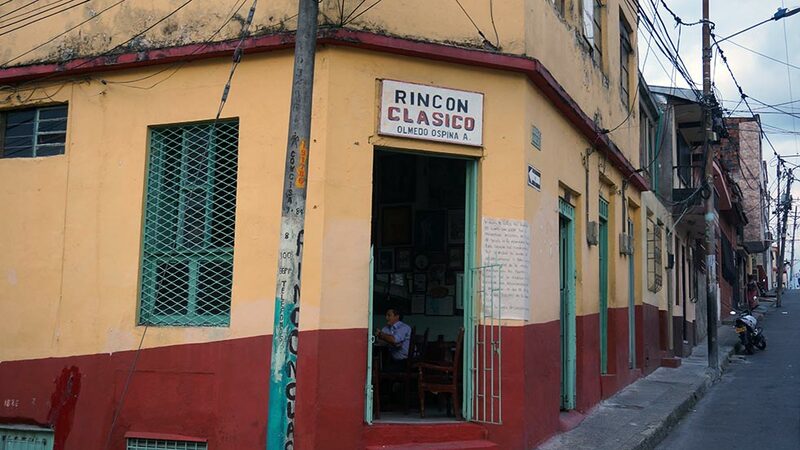 El Rincon Clasico, or “The Classic Corner,” is a Latin American version of the old corner shop where our grandmothers probably went to for a cold drink, back in the the days of sock hops and soda fountains. 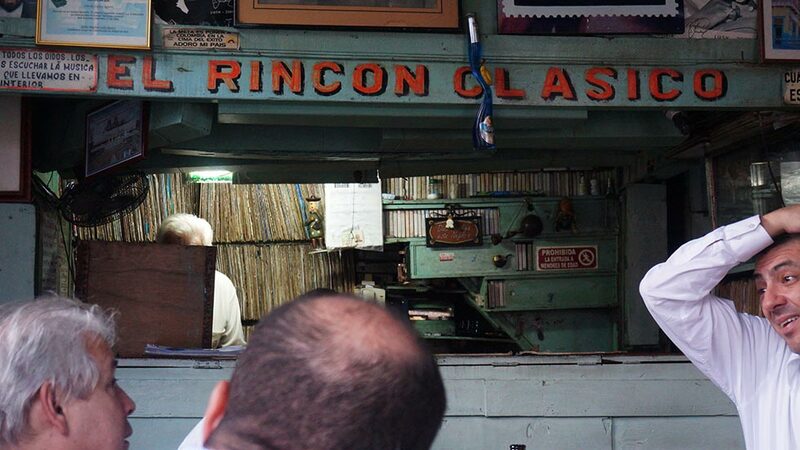 Weathered as its aging owner, El Rincon Clasico is a timeless throwback to another era. Another decade where LP’s and cassettes, with large dusty speakers, deliver the sound of the past. The walls are covered with old pictures depicting a mash up of famous political icons of Latin America, famous American actors and singers, and even a duplicate of Mona Lisa staring in eternal transcendence. Owned by Olmedo Ospina Aguirre, El Rincon represents a 62-year legacy that started when he was as a young man of 20. Originally a “Granero,” or general store, Senor Olmedo describes how he sold gasoline, corn and basic necessities along with cold drinks. In 1970, he converted his small corner shop into a bar that has endured to the present day. Today El Rincon continues as a simple beer bar with many notable visitors including city government, and even state government officials, senators and lawyers who have been known to drop in for a beer and pay homage to a Pereira icon. When asked about the atmosphere Senor Olmedo describes it as “familiar,” where nobody ever gets so tossed that they start to cause problems or fight. Local women are even known to come spend time playing cards in the afternoon in a place that belongs to their youth. Featuring an extensive collection of LP’s and cassettes, the visitor will be impressed by the diversity and range of music that Senor Olmedo has accumulated. If you want to hear gaucho, Beethoven or Pavarotti, it is there filed away. 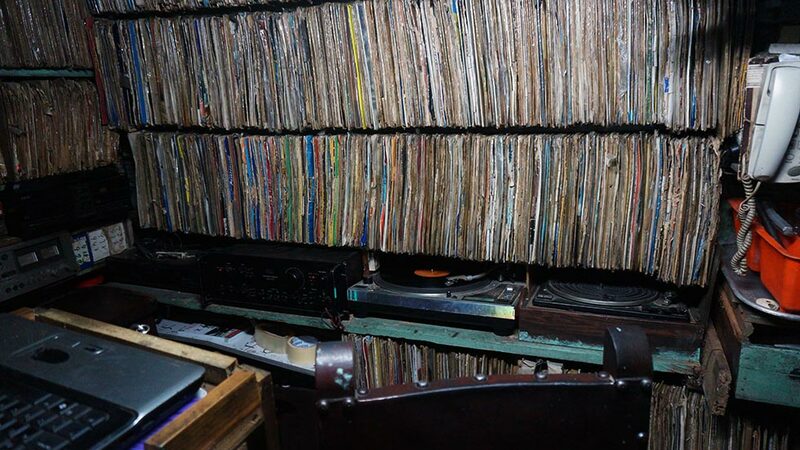 In recent years, a little bit of technology has been added in the form of a file archive on a laptop naming the location of each record on the shelves which have been built into the DJ Booth/Cashiers Box of the bar. With over 1,300 vinyl records, you can find them in 650, 500, 78 and 45. Also in the box are more than 1,500 cassette tapes with the album name and individual songs painstakingly written on the paper insert. Stay away hipsters, this is too authentic for your ilk. At El Rincon Clasico, the beer is cold, the people normal, and the ambiance, as familiar as visiting your grandparents in the summer. Here you will discover a place where WiFi is not available, time moves slower, and everyone greets you with the politeness of a different era.